This exhibit debuted at the 2001 Kentucky Folklife Festival. 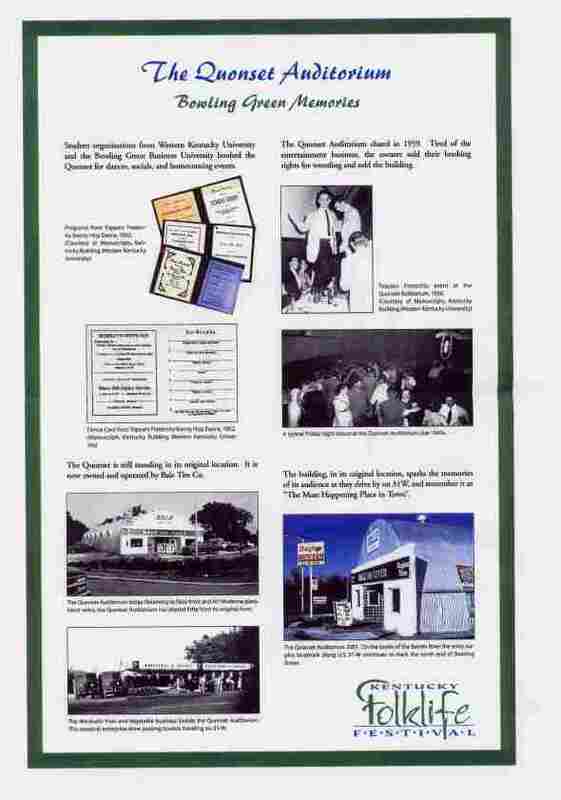 It was part of a performance area called The Quonset Club which represented the auditorium in its height of operation in the 1950s. 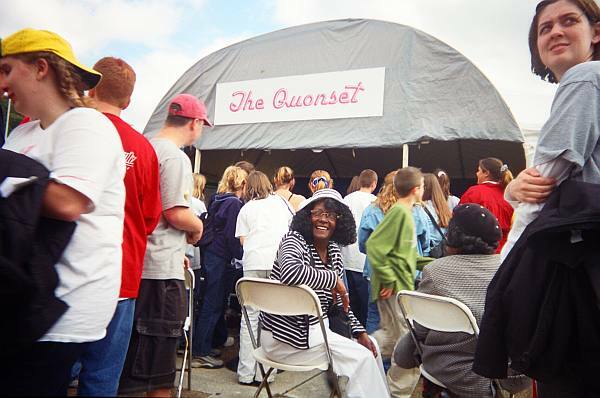 The festival installation included live performances by some of the artists who had performed at the Quonset. The exhibit has since toured Kentucky schools, libraries, and museums as part of a heritage education program produced by the Kentucky Folklife Program. 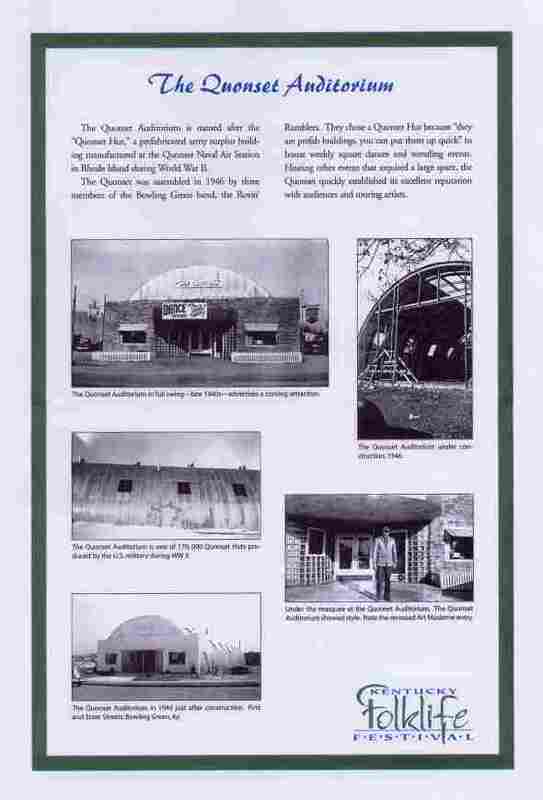 The Quonset Auditorium, operating from 1947 until 1959 in Bowling Green, Kentucky, has significance as the first entertainment venue in Bowling Green open to both African-American and European-American audiences. 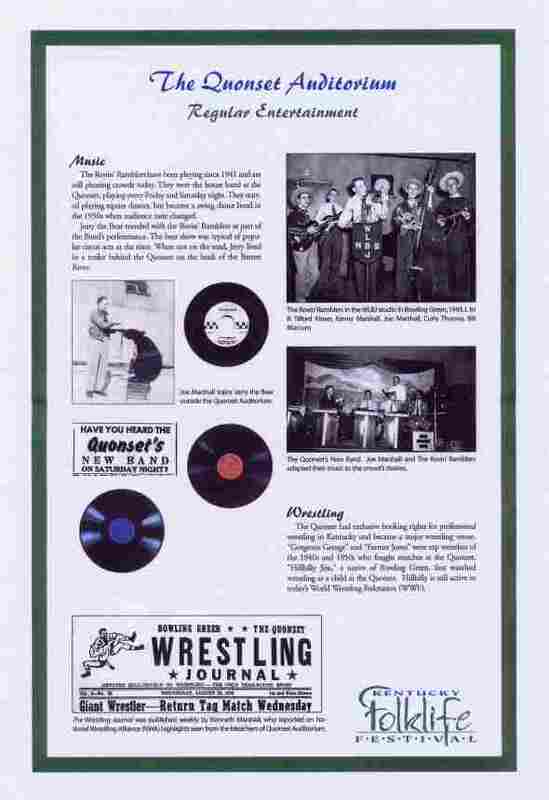 It was also the first venue in the region to have an integrated house band, drawing on talent from the local bands Joe Marshall and the Rovin’ Ramblers and The House Rockers. It is remembered as “The most happening place in town” and was a regular tour stop for major recording artists traveling the country, R&B, and gospel music circuits. 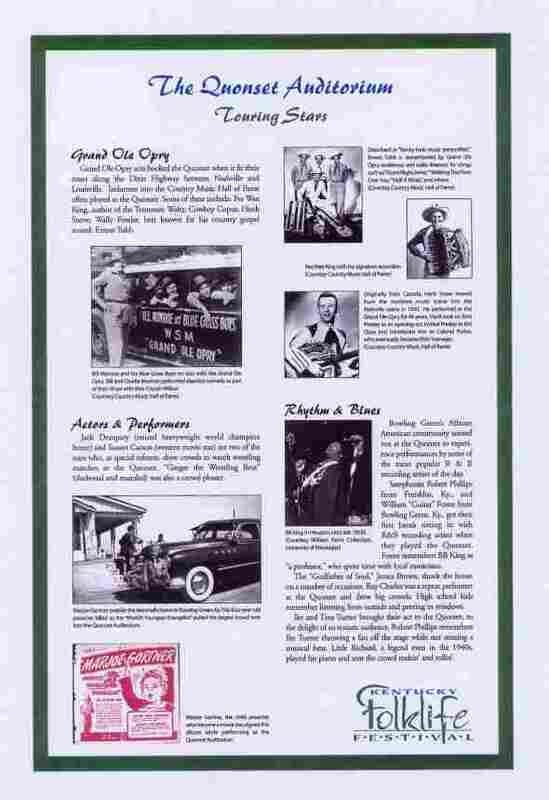 Exhibit panels produced by, and used with permission of, the Kentucky Folklife Program, a division of the Kentucky Historical Society.